We had a wonderful Grand-Opening celebration on August 22, 2018 with about 300 on hand for the free BBQ and dance held at the Hamilton Round Barn. This celebration was sponsored by the businesses below. Thanks to each of you for your support. We couldn’t have done it without you! 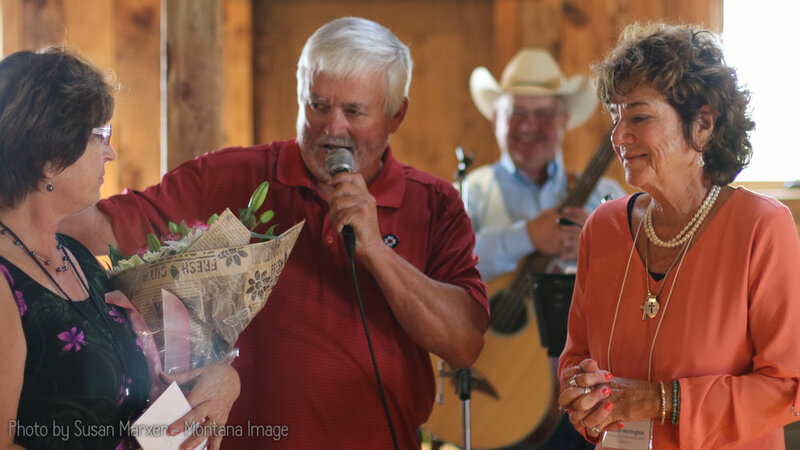 During the event our tireless fund-raiser, Nondi Harrington received special recognition for her tremendous efforts on behalf of the Ruby Valley Healthcare Foundation and the new Ruby Valley Medical Center. Event Sponsors for the August 22, 2018 Grand Opening celebration at the Round Barn.